Without Borneo, there would be no Mark of the Spider. My supernatural suspense novel, the first of the Black Orchid Chronicles, follows nature photographer Sebastian Arnett, who is cursed with the power to kill with his thoughts but has no control over this lethal ability. That curse had to come from somewhere, and I wanted a location far from the American experience in time, distance and culture. The more remote, the better. And if it was still wild, or at least untamed, even better still. After all, the guy is going to think of people dying — as we have all done from time to time — and THEY DIE! That’s outside the normal American experience. The opening location in the book also needed to have orchids, lots and lots of orchids. I call the series The Black Orchid Chronicles for a reason. Worldwide, there are about 28,000 species of orchidaceae. And Borneo alone has about 1,500 species. That ought to keep a nature photographer busy for a few months documenting all those flowers for a wealthy Middle Eastern patron. So, Borneo, orchids, native tribes, headhunters and demons. 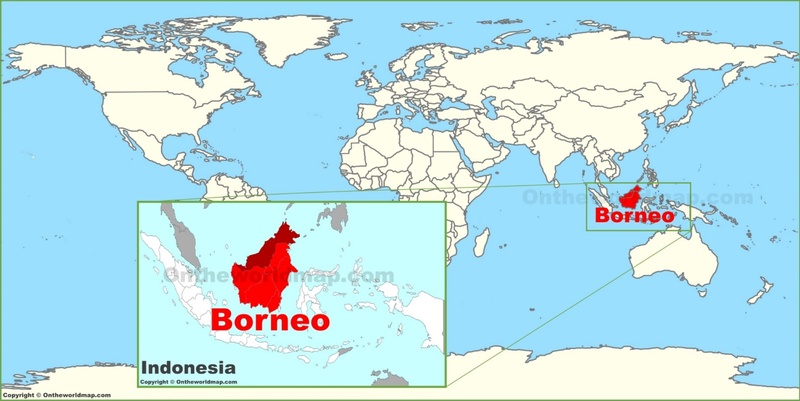 Still, Borneo is big enough to house (parts of) three different nations — Indonesia, Malaysia and Brunei. Much of the action in The Mark of the Spider takes place in the Malaysian section in the north and northeast. Rural towns with names like Kota Kinabalu and Tenom host some tense scenes, and the book opens in Taman Pertanian Sabah, the Sabah Agriculture Park, with its collection of hundreds of native Bornean orchids. As in other resource-rich parts of the under developed world, outside forces imperil the orchids and the people who live among them. Illegal logging, fires and forest damage have reduced the natural habitat of many species, and gold mining and illegal burning has led to the extinction of hundreds of orchid species. In his travels into the Heart of Borneo, Sebastian has a fateful encounter with Dyak tribesmen. More than 200 ethnic subgroups living along the rivers and in the mountains of Borneo, each with its own dialect, customs, laws, territory and culture, make up the Dyak (also spelled Dayak). One ancient Dyak woman presents him with a black orchid, starting a chain of events that will have Sebastian running for his life. Borneo. Cool place. A lot happening there. Check it out. The Mark of the Spider, Book 1 of the Black Orchid Chronicles, is available from Amazon in digital and trade paperback (5.5 x 8.5″, 334 pp.) formats. This entry was posted in Black Orchid series, Fiction, Inquiring Minds, Lessons, Mostly Me, Writing by David. Bookmark the permalink. …I particularly like the rare rothschild’s slipper orchid….Paphiopedilum rothschildianum…found in the wilds at the bottom of Mt Kinabalu….or at the sunday markets….stolen illegally…..